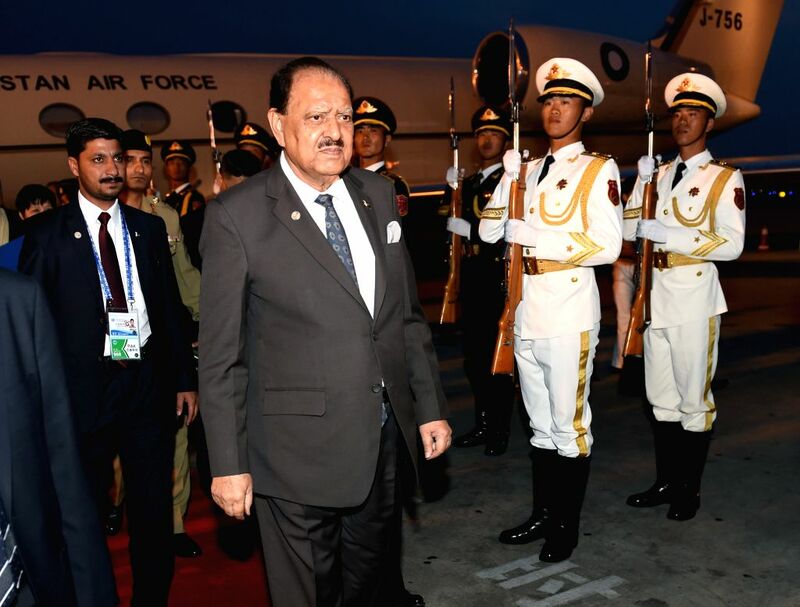 QINGDAO, June 8, 2018 - Pakistani President Mamnoon Hussain arrives in Qingdao, east China's Shandong Province, June 8, 2018. Hussain is here to attend the upcoming 18th Meeting of the Council of Heads of Member States of the Shanghai Cooperation Organization (SCO). 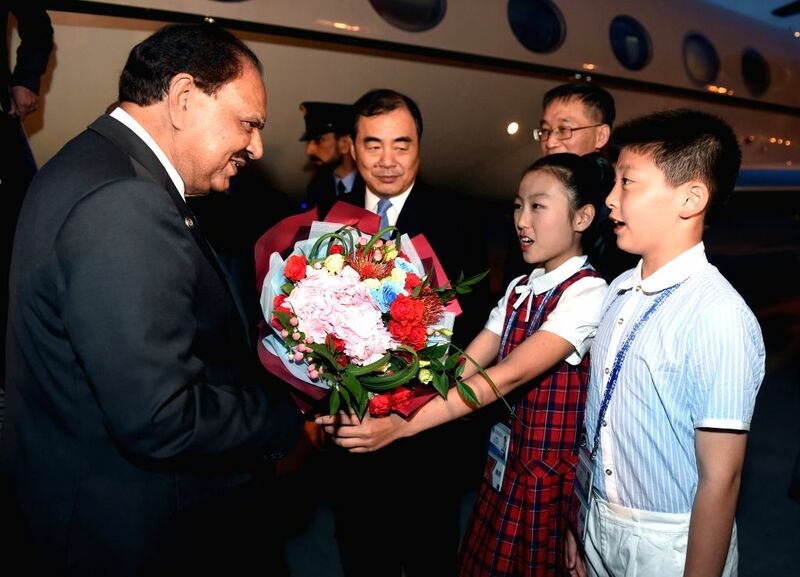 Pakistani President Mamnoon Hussain (1st L) is greeted upon his arrival in Qingdao, east China's Shandong Province, June 8, 2018.